As a kid, and even as an adult, I LOVED peanut butter and jelly sandwiches! Now that I am a parent, my kids love them too. BUT, there are just some times when my picky eater, Jeremy, would rather drink his meals. So, I decided to give him the best of both worlds. 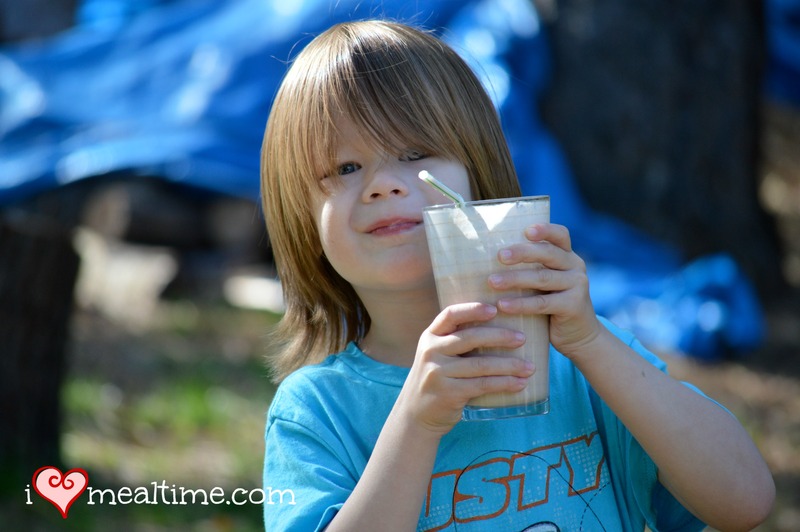 A yummy and nutritious Peanut Butter and Jelly Smoothie! I really like the idea of smoothies. You can easily make a delicious tasting drink, that also has loads of good-for-you nutrition. You don’t even specialized ingredients, like protein powders or vitamin supplements (although some of those are pretty good). You can use whole foods that you probably already have in your kitchen. Smoothie recipes can be modified to fit your particular diet needs (paleo, vegan, high protein, etc.). You can check out my other smoothie recipes too. 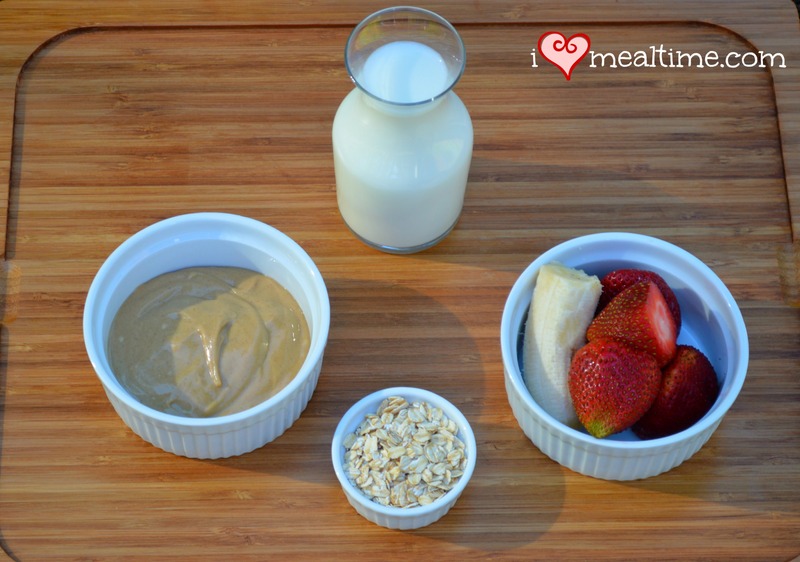 For our Peanut Butter and Jelly Smoothie, I used almond milk, creamy peanut butter, frozen strawberries and bananas, and rolled oats. That’s it! 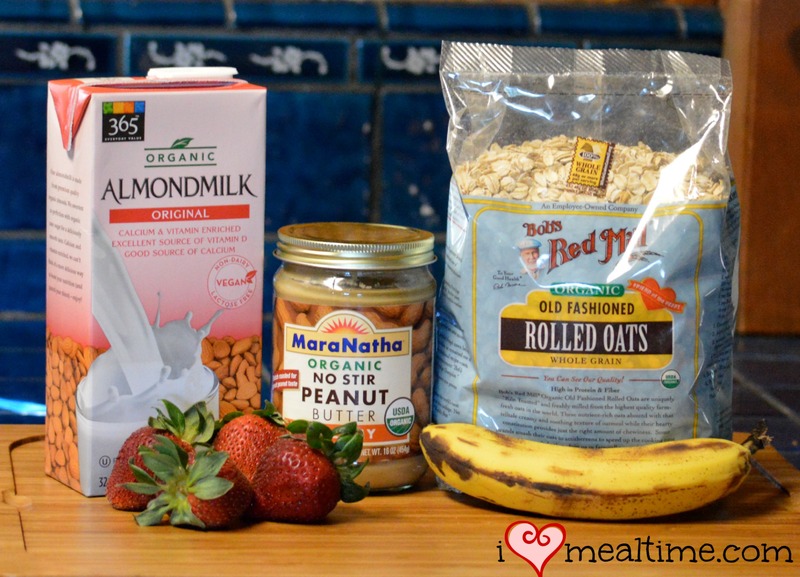 The almond milk gives me a lower calorie, dairy-free base for the smoothie versus cow’s milk. Then I add natural, creamy peanut butter for protein. Frozen fruits for sweetness, vitamins, and minerals. And finally rolled oats, for fiber. I blend them all up in my Vitamix blender, for a velvety smooth consistency. 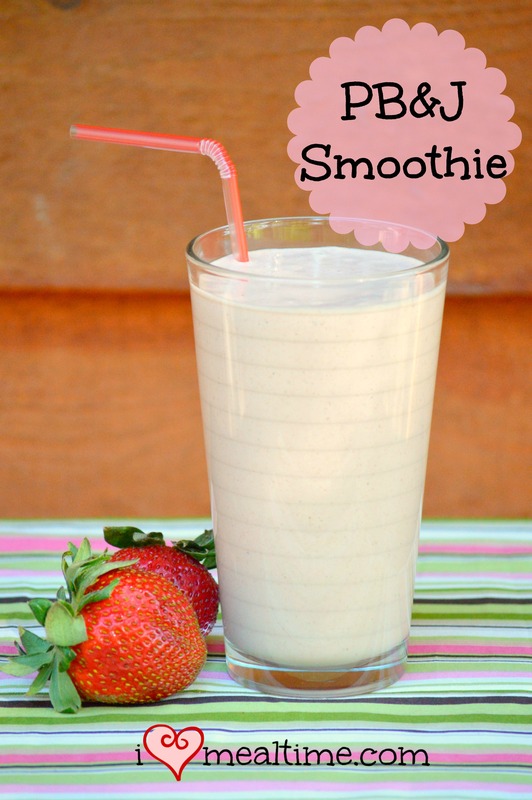 A super easy, healthy, and delicious smoothie. My pickiest eater agrees! A healthy, easy, and delicious smoothie made with peanut butter for protein and frozen strawberries for that "jelly" sweetness. Add all ingredients to your blender and blend until you get a smooth consistency. Makes 1 large smoothie or 2 small smoothies, perfect for little tummies.